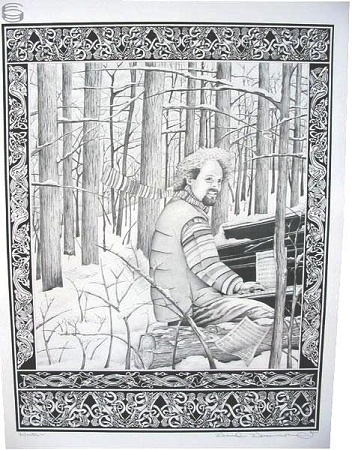 This is a mint condition poster of band member Page McConnell of Phish. An original fan art design by artist David Drennon. It is printed on heavy glossy cardstock. This poster measures approx. 20" x 24". Poster is signed by the artist himself in ink. It would look great framed with the other 3 members.